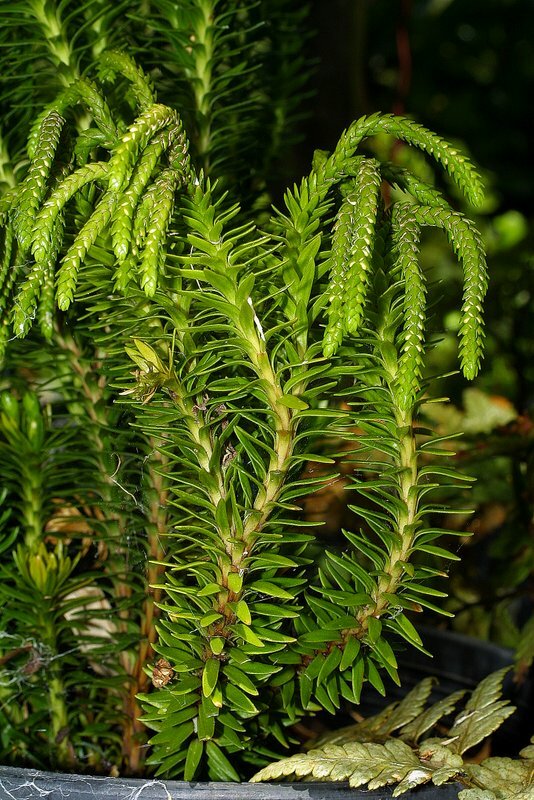 Phlegmariurus varius is a terrestrial or epiphytic clubmoss with stems forking many times. 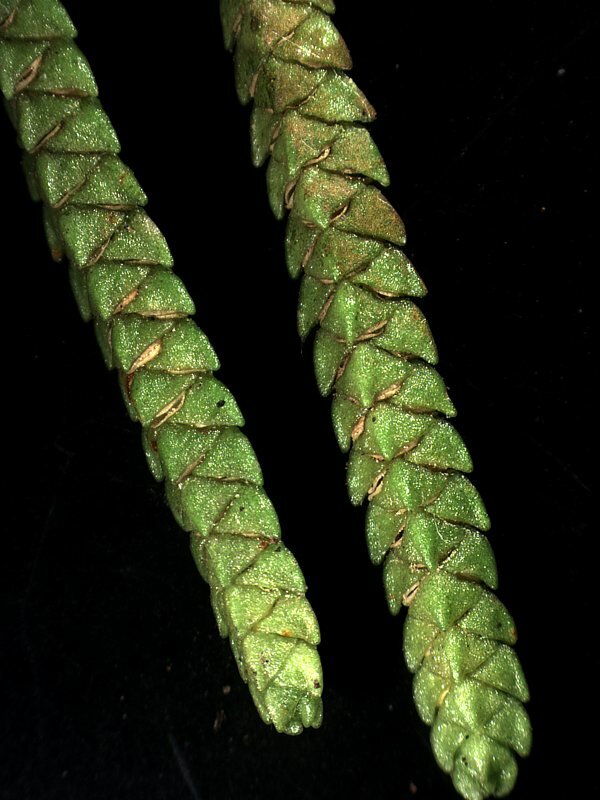 Terrestrial plants are erect with branch tips curled downwards. 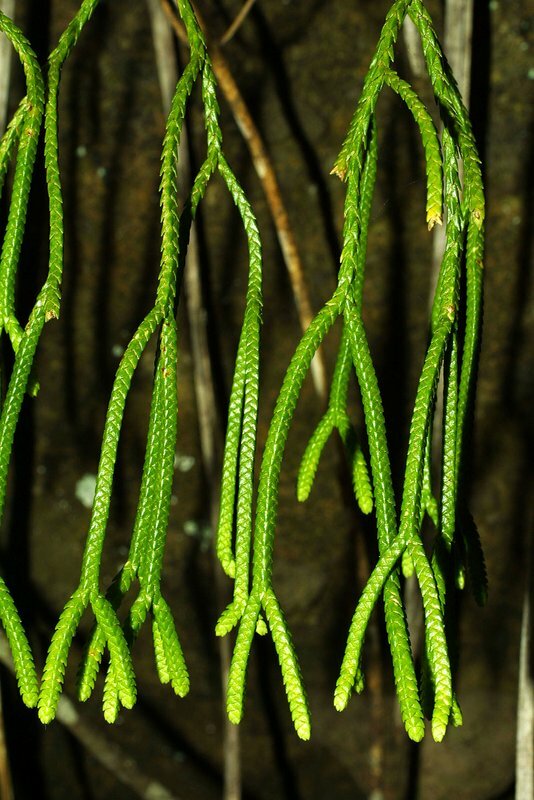 Epiphytic plants are pendulous. 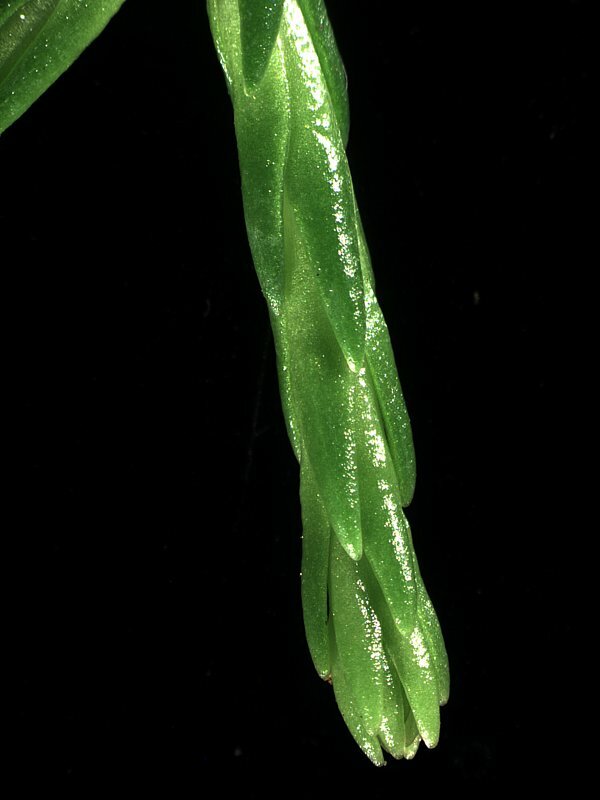 Transition from the spreading sterile to appressed fertile leaves is gradual to abrupt. 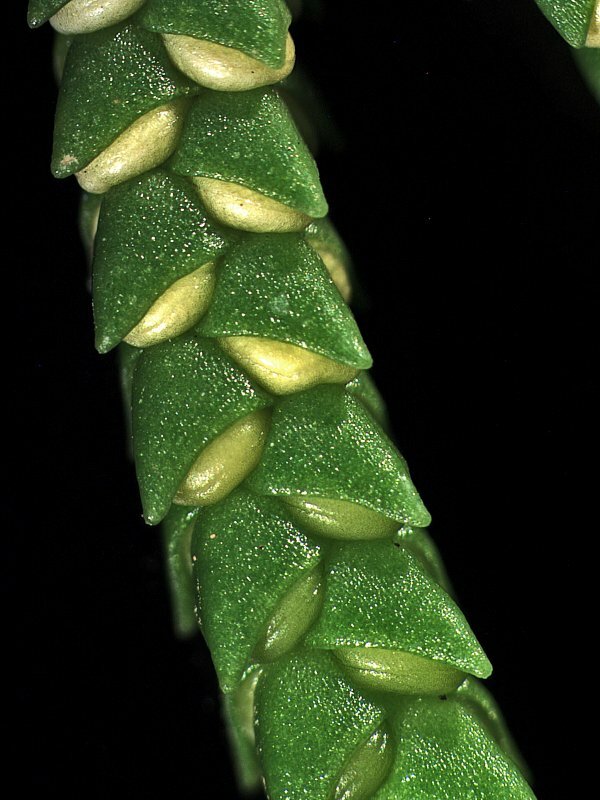 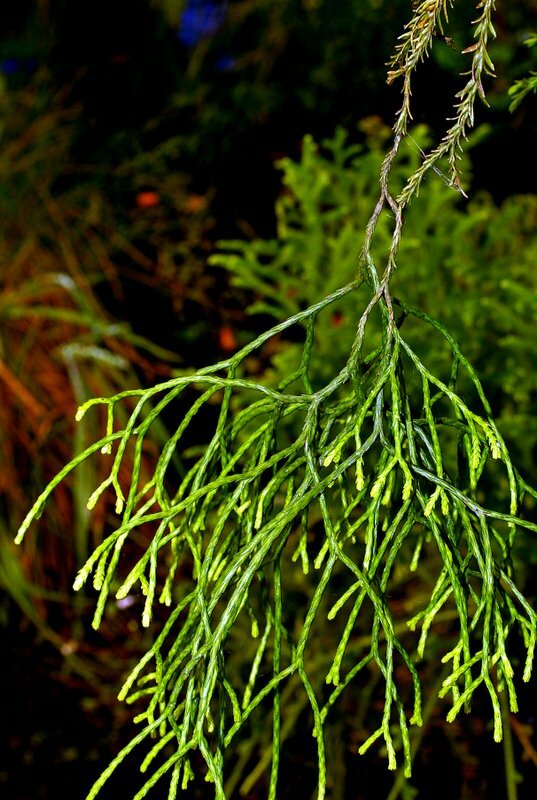 Fertile leaves (sporophylls) are restricted to terminal branches, forming indistinct, usually 4-angled cones. 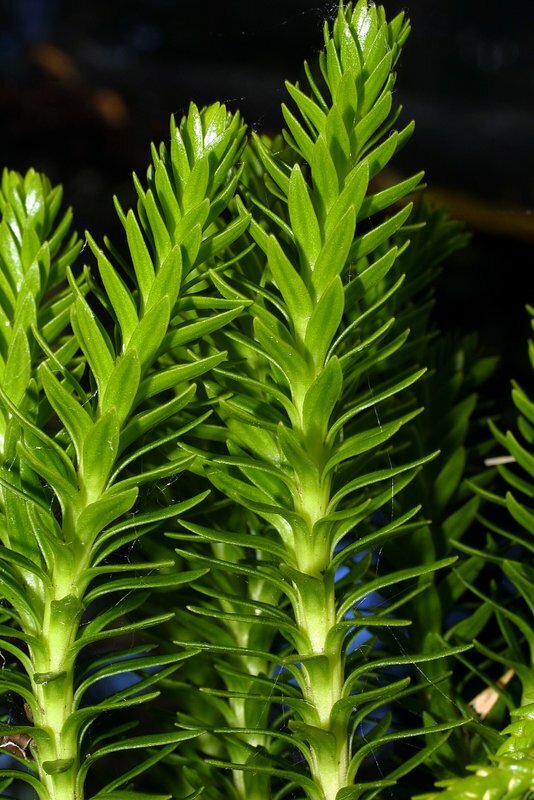 Formerly known as Huperzia varia and Lycopodium varium.